Born on June 5, 1815, in Lincoln Country, Georgia, J. L. M. Curry was the son of a slaveholding family that ultimately moved to Alabama. He graduated from the University of Georgia and Harvard University Law School. While at Harvard, Curry heard a lecture by Horace Mann that awakened his zealous interest in universal education. In 1845 Curry was admitted to the Alabama bar, and he quickly gained prominence as a lawyer. Three terms in the Alabama Legislature preceded four years as a member of the US House of Representatives. During the Civil War he served first in the Confederate Congress and then as a colonel on the staffs of Generals Joseph E. Johnston and Joseph Wheeler. Shortly after his 1866 ordination as a Baptist minister, Curry accepted the presidency of Howard College in Alabama. He left that post in 1868 to become a professor of English, philosophy, and law at Richmond College, Virginia. Meanwhile, New England philanthropist George Peabody had donated two million dollars as a fund for the improvement of Southern schools. 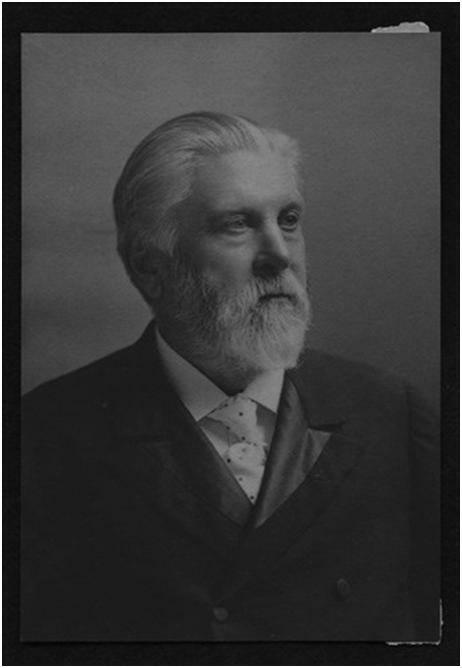 When the directorship of the Peabody Fund became vacant, Curry was immediately nominated, and in 1881 he received the appointment. He later became special agent for a similar educational endowment, the Slater Fund. Sources of information: Rice, Jessie P. J. L. M. Curry: Southerner, Statesman and Educator, 1949. Alderman, Edwin A., and Armistead C. Gordon. J. L. M. Curry: A Biography, 1911. Curry's Civil History of the Government of the Confederate States, 1901.